Please Be Sure To Input The Correct Address You Want The Items Shipped, Once Placed We Cannot Change The Address! 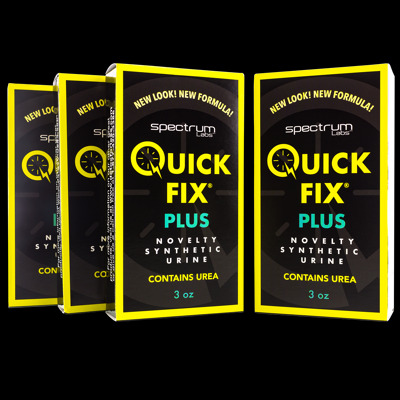 Each box of Quick Fix Synthetic Urine contains a 3 oz. bottle of quick fix urine, one heat pack, a flip top cap, and a temperature strip that reads between 90 and 100 degrees. Once this synthetic urine is warmed between 90 and 100 degrees in a microwave for up to 10 seconds it becomes suitable for use. Attach the heat pack and keep it warm for up to 8 hours!